Wow, just look at that picture! What a way to get your tastebuds fired up. 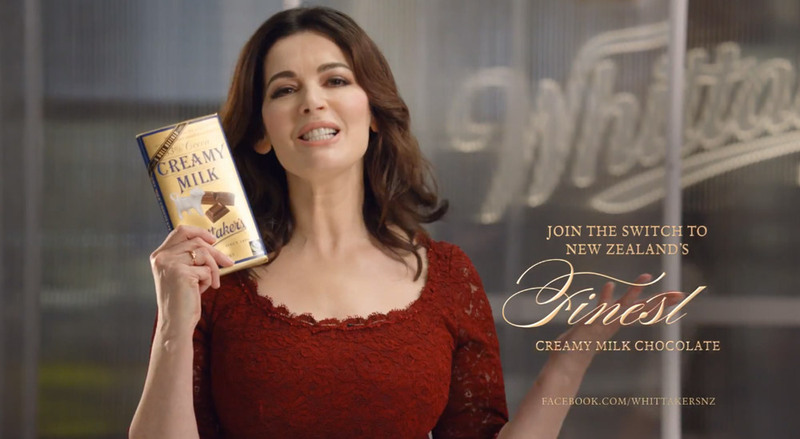 The popular Kiwi chocolate company Whittaker's is always surfacing as a trending topic due to celebrity endorsement (remember Nigella Lawson's ads?) and of how frequently they release new chocolate flavours. 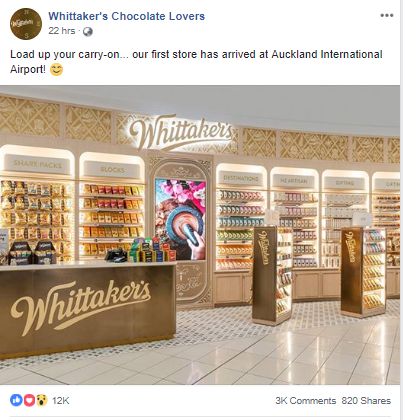 As of August 16th, Whittaker's have now opened their first store inside of Auckland International Airport and, not surprisingly, it has been a huge hit. Why exactly? It's a favourite brand of many Kiwi families and has even won the hearts of many overseas customers. The brand has soared through the ranks of popularity using brilliant marketing tactics such as employing celebrities like Nigella Lawson as their brand spokesperson, and quite simply deliciously enticing commercials - no wonder they've won New Zealand Reader's Digest Most Trusted Brand Award of All Brands Surveyed this year! 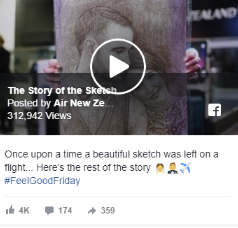 Not to mention that their Facebook posts have outperformed fellow NZ brands including Air New Zealand, New World and The Warehouse. 2. Monday mornings and more chocolate. The trending topic of chocolate continues - and we sure as heck aren't complaining! But this time it's coming from The Warehouse. 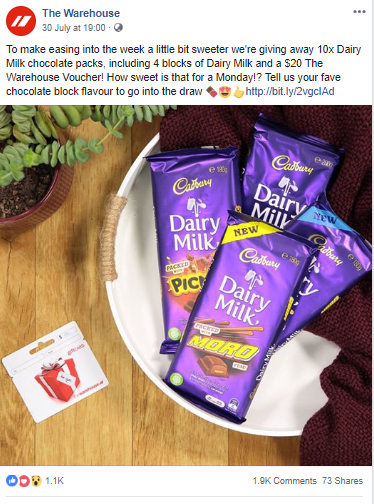 In the post above, the brand are promoting not only Dairy Milk Chocolate but also themselves through running a competition aiming to make the start of the week a bit sweeter (pun intended). Of course, chocolate is a sure fire way to grab attention and FREE chocolate at that? Even better. We all know the feeling of Monday morning blues and The Warehouse have leaped at the opportunity to engage with their audience in a way that while is a safe bet, is also a fun and engaging post. Ah Harry Potter. A subject that kids and adults alike can both discuss without feeling like a weirdo (just me? Well it makes conversations pretty entertaining if you throw in a reference - try it out sometime). Lego and Harry Potter combined? That's something else. The demographics for Harry Potter are quite far and wide (remember that the very first Harry Potter book, The Philosopher's Stone, came out in 1997) and kids of the 90s will surely remember either reading it themselves or having their parents read it to them. This writer certainly recalls when their mother read it to them as a very young child! Parents love it, kids love it (well, at least of my generation who are now in their 20s) and even the Gen Y kids enjoy it. 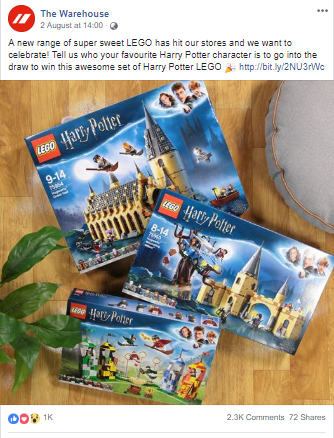 The Warehouse is now promoting a new range of Lego that follows the Harry Potter theme through announcing a competition in which one can win the entire Lego set to celebrate the new release. Pretty epic right? And it shows in the social media results: it gained a lot of attention, comments and as such, high engagement was evident. To the world New Zealand has a clean, green image, emphasised with our slogan, "100% Pure NZ" (And no doubt Lord of the Rings has some influence there.) Unfortunately, looks can be pretty deceiving and it's not a wholehearted truth. However, with the alarming news across the world of natural disasters and highly unusual weather systems (the fires in Southern California and Greece are some such examples, as well as the crazy heat wave across Europe recently) the world is having to sit up and really look at what we can do to try and stop polluting and destroying the planet's fragile ecosystem. What does this mean for Greenpeace NZ? 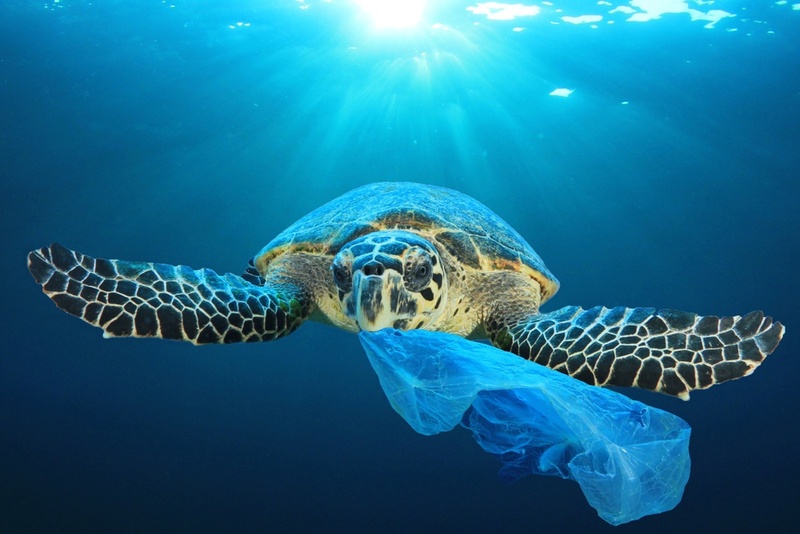 They have championed the movement to ban single-use plastic bags, and have succeeded in doing so around our local supermarkets including New World and Countdown. 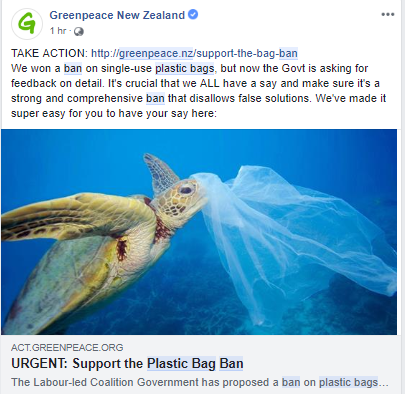 It's a great thing to have actioned as our very own PM Jacinda Ardern herself has pointed out, "We're phasing-out single-use plastic bags so we can better look after our environment and safeguard New Zealand's clean, green reputation." New Zealand is leading the way and setting an example around the topic of global warming and making changes, one small step at a time, to ensure a sustainable future for the planet. Awesome job on that front, Greenpeace! Social media gives brands the opportunity to tap into relevant underlying cultural shifts in society. Air New Zealand's example demonstrates the power of empathy and the human connection, Greenpeace NZ champions sustainability and environmental consciousness, and Whittaker's focuses on the physical experience and delight of going into a store. The Warehouse has opted for a more competition-aimed approach which, while is not overly daring or topical, still showcases a way in which to engage viewers. Social media provides the opportunity for brands to align with relevant 'newsy' stories and competitions, but arguably the biggest potential for growing a brand long-term lies in sharing stories that really connect with the issues close to their followers. Of course, we have to remember that trending topics can sometimes not work for a particular brand (it would be a bit odd to put something with Aretha Franklin in for a Whittaker's post) but with certain subjects like global warming becoming more prevalent, (not to mention that everyone loves a feel-good story) it's great to see that brands are addressing this and expanding their creativity beyond the expected. Keen to know how your brand compares with the best?